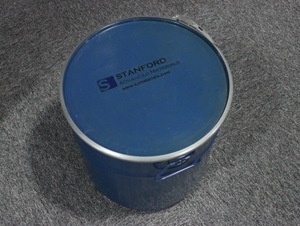 Stanford Advanced Materials (SAM) is a leading supplier and manufacturer of metallurgical Grade Tantalum Powder and a wide variety of Tantalum products. Tantalum has a high density and excellent thermal and electrical conductivity properties. It has the fourth highest melting point of all metals and is highly suitable for applications in optics and electronics. It also has great fatigue resistance, making it more robust than glass and graphic systems. Our Tantalum powder is produced in high purity minimally sized grains. 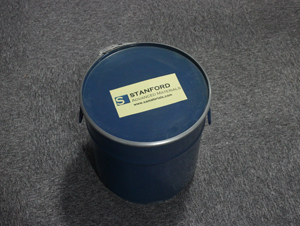 It also can be used to produce tantalum sputtering target. Due to these and other unique properties, tantalum metal powder is highly suitable for numerous applications in the optics and electronics industries. SAM is one of the leading providers of high-quality tantalum powders for metallurgical applications. The powders are characterized by particularly fine grain sizes and an extremely high level of purity. With respect to technical functionality and cost-effectiveness, these powders meet all of our customers’ expectations. Above all, SAM provides consistently high quality tantalum products that are easily available. Used as raw material to produce mill products. Used as additives in alloy and welding bars. Used for optic and electronic applications. Used for manufacturing supper targets. Used to manufacture capacitors and superalloys.